Fertile, Minn. (February 12, 2013) - Steeped in tradition, the list of winners of I-500 cross-country snowmobile race reads like a who?s who of snowmobile racing. 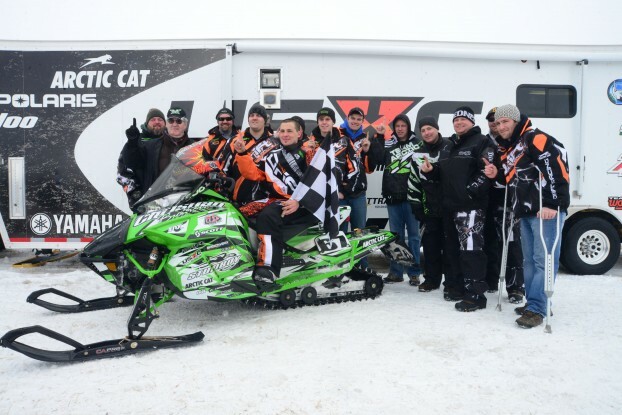 This past weekend Arctic Cat/DRIFT Racing/Stud Boy Traction/Christian Brothers Racing rider Ryan Simons added his name to that list when he won the 40th running of the prestigious race. Unlike it's original point-to-point format which brought racers from Winnipeg to St. Paul or vice-versa for so many years, the current race centers around the home of Arctic Cat snowmobiles in Thief River Falls, Minn., and riders follow a unique course each day, logging roughly 160-miles a day for three days down frozen rivers, snow-filled ditches, woods and minimum maintenance roads.